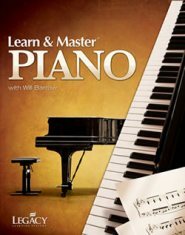 Piano voicing improves the quality of your piano’s tone. Also known as “tone regulating”, voicing is accomplished by softening or hardening hammer felt to achieve a desired tonal personality within your piano. 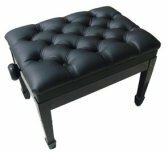 Every individual piano possesses its own distinct sound or "voice", and can be modified by your piano technician or piano rebuilder. a layer of felt off to eliminate grooves. 3) Ironing hammer felt or treating with lacquer to harden hammers as needed. 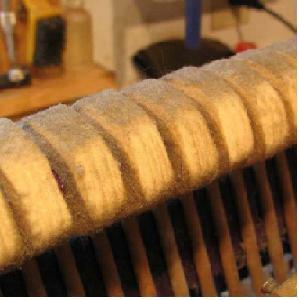 4) Pricking hammer felt with needles to soften the felt, and by extension, your piano's tone. What determines your piano’s own unique voice? (1) “Hardness” or “softness” of the hammer felt. (2) The weight of each hammer. (3) The shape (“crown”) of the soundboard. (4) A piano’s case design and construction. (5) Materials used throughout the piano, as well as (6) the placement of your piano in a room. All of these factors contribute to your piano’s tone. Over time, as you play your piano, hammers continually collide with the strings. These tens of thousands of collisions cause hammers to harden and develop grooves over time. The hammer's felt begins to compact, wear down, and change in shape. These grooves, hardened felt, and uneven wear cause a harsh, uneven, brilliant, and metallic tone in your piano. You may even try to play softly, yet, this sound is still produced. The entire spectrum of your piano’s voice starts to fade over time and with use, hiding the true coloring and shading of your instrument. A wide range of expression becomes difficult, if not impossible to bring out when you play. If grooves are not eliminated, felt is not softened, and hammers become flattened - instead of oval shaped - strings can begin to break, as hammers strike the strings continually, as you play. 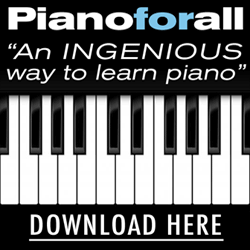 A piano must be (1) regulated first and (2) in perfect tune, second, before the actual process of (3) voicing can take place. 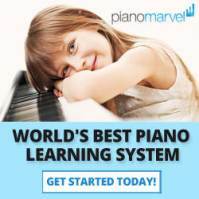 The purpose of piano voicing is to improve the quality of your piano’s tone. 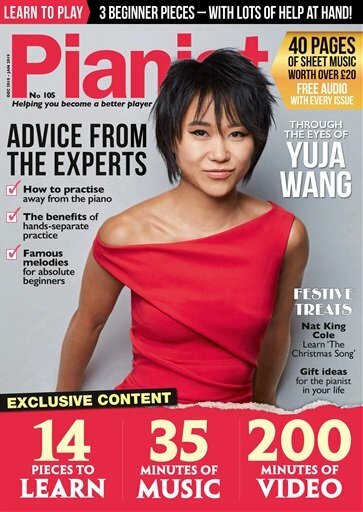 Voicing brings out a broad range of dynamics in your piano; the natural beauty inherent and characteristic to your piano is enhanced, and musicians can be inspired to new heights of achievement! Contact Us Today for a FREE QUOTE and to schedule a piano voicing appointment today! feel free to donate to our organization, at the Paypal link below.